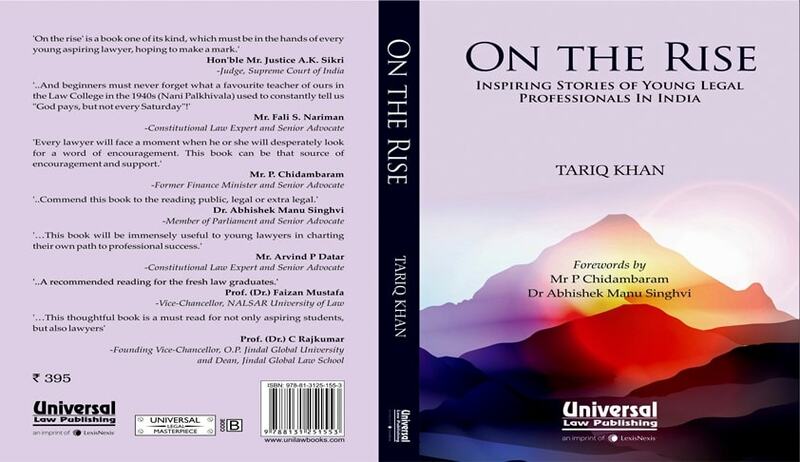 Book Launch Ceremony of the book 'On the Rise (Inspiring Stories of Young Legal Professionals in India)' by Tariq Khan will be held on Wednesday i.e July 19, 2017. Lexis Nexis and Tariq Khan, Advocate, Supreme Court of India, invite you to the Book Release Function to be held at 4:30 PM at Indian Law Institute, Bhagwandas Road, New Delhi-110001. Click the Book Launch Invite and the Book Cover for more details.